Increasingly popular, with sand and rocks, Panormos is worth the trip. 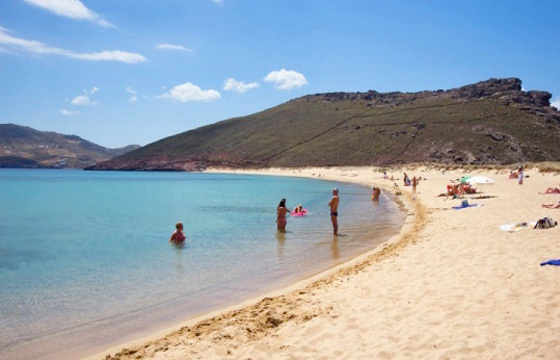 Panormos beach is a remote and undeveloped sandy beach on the northern side of the island that can get a little too windy when the north wind blows, but is perfect on the other hand when the southern winds attack. Nudism is common and acceptable, especially on the right part of the beach, whereas at the same time Panormos is also quite popular with families that usually stay on the left part of the beach, where the beach bar, the taverna and a hotel with a pool all lie. Panormos beach is on the way to Agios Sostis, but no bus service is available, although it can be approached by car and motorbike.